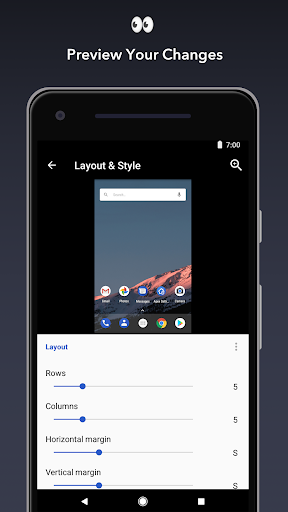 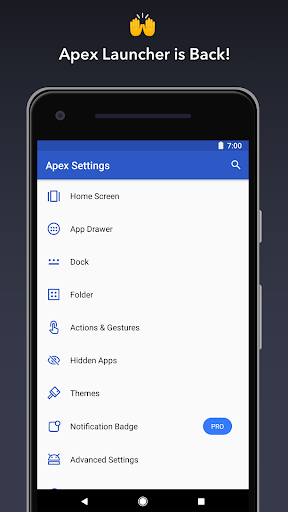 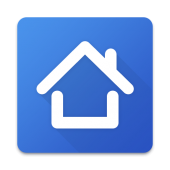 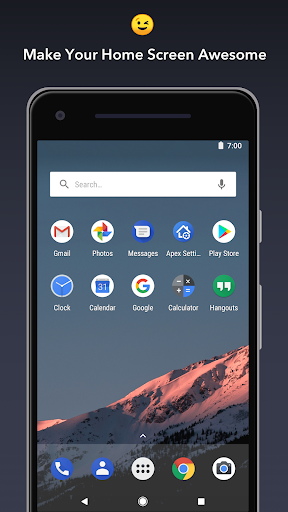 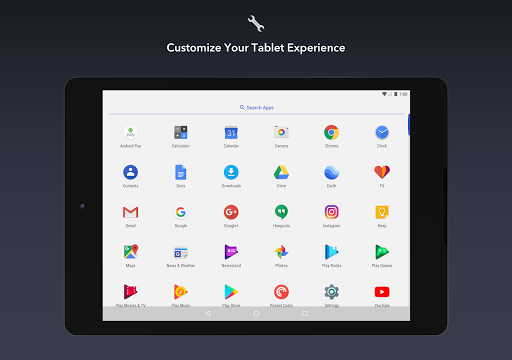 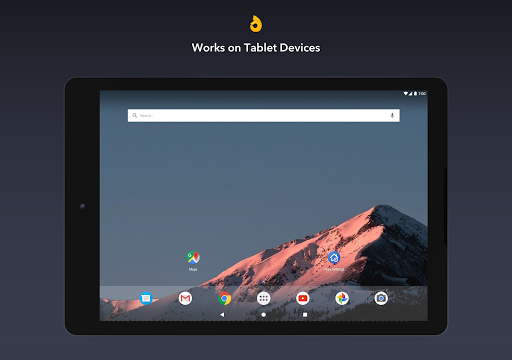 Apex Launcher Pro – choice of 10,000,000+ users! 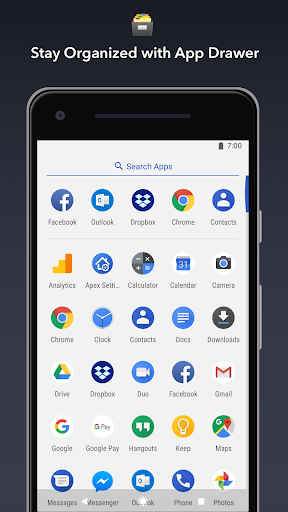 ★Personalized Customization – Free icon packs and themes to personalize your phone interface. 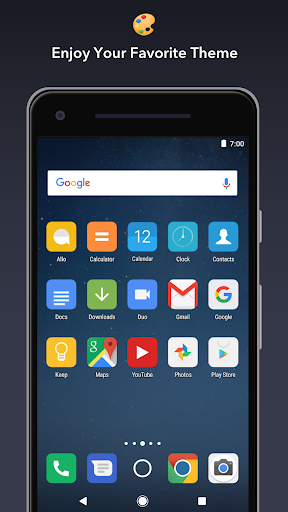 Fancy & 3D transition effects to redefine your stylish launcher. 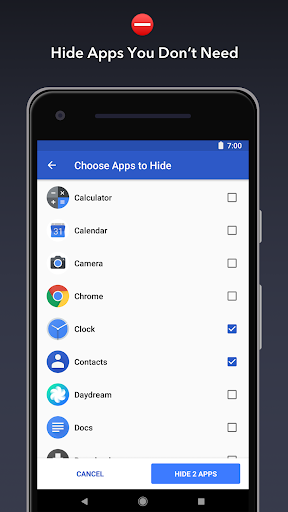 ★Secure and Protect – Hide & lock apps to protect your privacy. 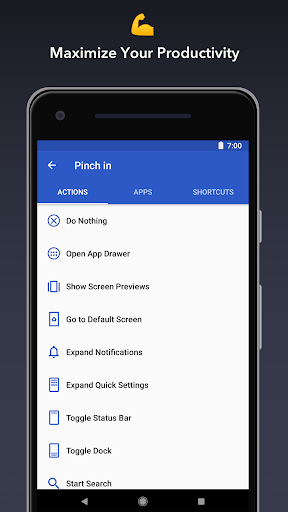 ★Efficiency and Fast Speed – Quick search, gestures, backup & restore to boost your work!